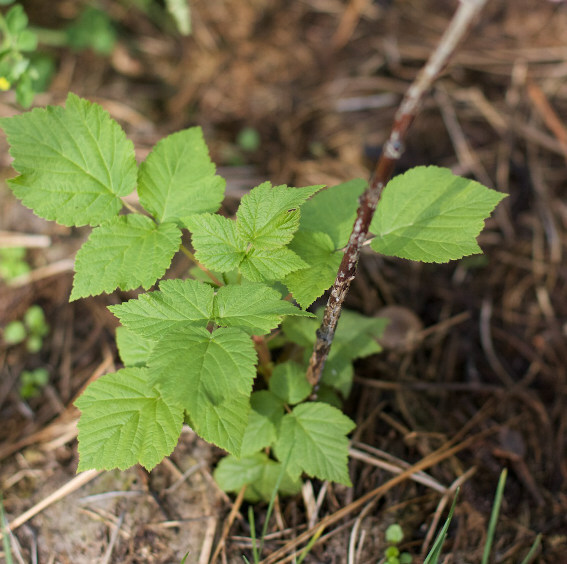 As spring emerges in the raspberry bramble, you can find new curved canes bursting with leaf buds. Soon they will unfurl and become one of our most nutrient-dense and astringent herbs. That’s right, while the juicy berries of the summer get all the glory, red raspberry leaf uses are numerous and have many gifts to share. To best understand red raspberry leaf’s uses you first have to employ your senses. A strong red raspberry leaf tea is the perfect place to start. Taking a few sips you may notice the floral scent and taste, but there is also the tannic feel of astringency. (You’ll recognize this sensation if you’ve ever eaten an unripe banana or had a strong cup of black tea.) What is most noticeable is the dry feeling it leaves in your mouth. This impression is caused by the tightening and toning of your mouth tissues. And while it is most obviously felt in your mouth, astringent herbs can have a similar effect throughout the body. You may not often find yourself discussing astringency with your friends or family, but this is one of the most important and oddly helpful actions within the herbal world. By tightening and toning tissues, astringent herbs, like red raspberry leaf, can address all sorts of lax tissue states and thereby reduce excess discharges and keep moisture in the tissues where it belongs. Let’s begin with your mouth. 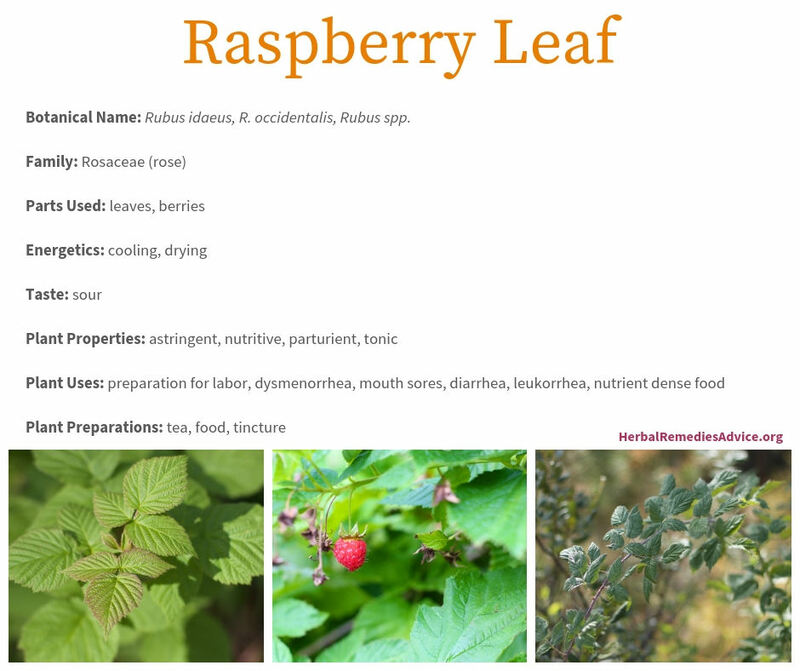 Red raspberry leaves are known for their ability to address inflammation in the mouth and throat and can be used as a mouth wash or gargle for spongy gums, mouth ulcers, or a sore and swollen throat. 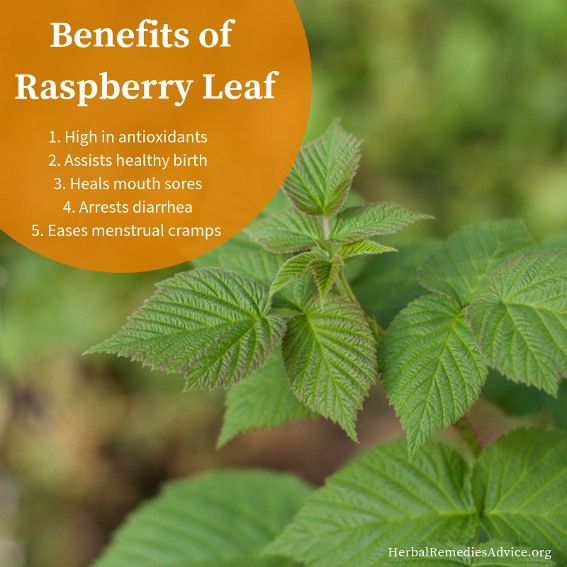 While references to red raspberry leaf uses in Western herbalism date back hundreds of years, it is only relatively recently that they have become commonly used to support uterine health. 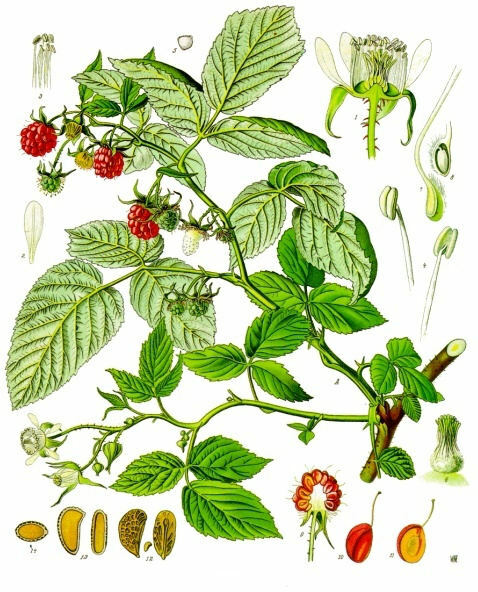 Taken regularly, red raspberry is used to help those who have painful cramps during menstruation. It is often combined with nettle and spearmint and taken long term for the best benefit. Both the leaves and berries of red raspberry are nutrient dense. The leaves are high in magnesium and manganese.5 The leaves also contain phytonutrients like flavonoids and tannins. Red raspberries and black raspberries are a delicious food high in nutrients and health-supporting properties. The berries are exceptionally high in fiber for a fruit, containing about six grams of fiber per 1/2 cup.6 They are also rich in flavonoids and vitamin C.
Rubus idaeus is a perennial shrub with biennial stems that grows anywhere from 3 to 9 feet tall. The thorny canes emerge the first year as green stems and, depending on the variety, either don’t fruit or fruit very little. The second year, the canes will flower and fruit. At the end of the second growing season, the bark will turn brown and/or gray and the cane will die. It is recommended to prune the second year canes in the winter/early spring to avoid overcrowding of the raspberry patch. Red raspberry leaves are pinnately compound with three to five leaflets. The underside of the leaf has a silvery green color and may be covered in small spines. The flowers have five petals and numerous stamens, qualities often seen in the rose family. The flowers are white and grow in clusters. The fruit is an aggregate, meaning that what we consider as one berry is actually many tiny berries gathered around a receptacle. Red raspberry leaves can be harvested whenever they look vibrant, ideally before the plant flowers and fruits. Leaves should be dried thoroughly before storing or using them. Raspberries are a delicate fruit and only last for a few days after harvest. When choosing raspberries at the store or farmer’s market, look for berries that hold their shape and don’t leak juice. Black raspberries are highest in flavonoids and are the basis for most of the studies regarding heart health and potential anti-cancer qualities. 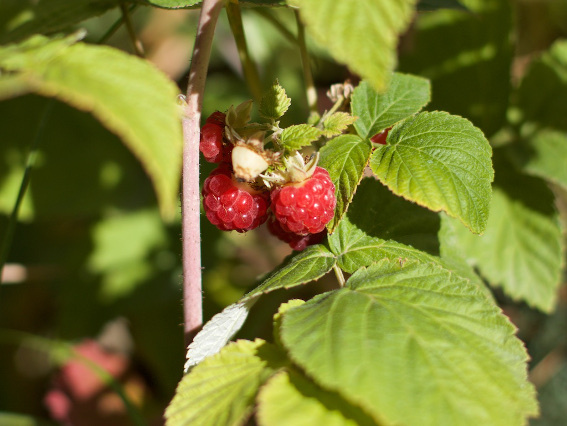 Due to their nutritional content, red raspberry leaves work best as a water-based extraction. They are often used in nourishing herbal style infusions or herbal vinegars. I recommend combining them with other herbs – if taken in too high of a dose, the astringency may turn your stomach. Raspberry fruits and leaves are generally regarded as safe. Wood, Matthew. The Earthwise Herbal: A Complete Guide to Old World Medicinal Plants. Berkeley, CA: North Atlantic Books, 2008. Moerman, Daniel E. Native American Ethnobotany. Timber Press. 427-431. Konieczyński, Paweł, and Marek Wesołowski. "Water-extractable Magnesium, Manganese and Copper in Leaves and Herbs of Medicinal Plants." Acta poloniae pharmaceutica 69, no. 1 (2012): 33-9. Robinson, Jo. Eating on the wild side: the missing link to optimum health. New York: Little Brown & Co, 2014. Jeong, Han Saem, Soon Jun Hong, Jae Young Cho, Tae-Bum Lee, Ji-Wung Kwon, Hyung Joon Joo, Jae Hyoung Park, Cheol Woong Yu, and Do-Sun Lim. "Effects of Rubus Occidentalis Extract on Blood Pressure in Patients with Prehypertension: Randomized, Double-blinded, Placebo-controlled Clinical Trial." Nutrition (Burbank, Los Angeles County, Calif.) 32, no. 4 (2016): doi:10.1016/j.nut.2015.10.014. Jeong, Han Saem, Soon Jun Hong, Tae-Bum Lee, Ji-Wung Kwon, Jong Tae Jeong, Hyung Joon Joo, Jae Hyoung Park, Chul-Min Ahn, Cheol Woong Yu, and Do-Sun Lim. "Effects of Black Raspberry on Lipid Profiles and Vascular Endothelial Function in Patients with Metabolic Syndrome." Phytotherapy research : PTR 28, no. 10 (2014): doi:10.1002/ptr.5154. An, Jee Hyun, Dong-Lim Kim, Tae-Bum Lee, Kyeong Jin Kim, Sun Hwa Kim, Nam Hoon Kim, Hee Young Kim, Dong Seop Choi, and Sin Gon Kim. "Effect of Rubus Occidentalis Extract on Metabolic Parameters in Subjects with Prediabetes: A Proof-of-concept, Randomized, Double-blind, Placebo-controlled Clinical Trial." Phytotherapy research : PTR 30, no. 10 (2016): doi:10.1002/ptr.5664. Jeong, Han Saem, Sohyeon Kim, Soon Jun Hong, Seung Cheol Choi, Ji-Hyun Choi, Jong-Ho Kim, Chi-Yeon Park, and others. "Black Raspberry Extract Increased Circulating Endothelial Progenitor Cells and Improved Arterial Stiffness in Patients with Metabolic Syndrome: A Randomized Controlled Trial." Journal of medicinal food 19, no. 4 (2016): doi:10.1089/jmf.2015.3563. Cheang, Kai I, Thanh T Nguyen, Nicole W Karjane, and Kelsey E S Salley. "Raspberry Leaf and Hypoglycemia in Gestational Diabetes Mellitus." Obstetrics and gynecology 128, no. 6 (2016): doi:10.1097/AOG.0000000000001757. Knobloch, Thomas J, Lana K Uhrig, Dennis K Pearl, Bruce C Casto, Blake M Warner, Steven K Clinton, Christine L Sardo-Molmenti, and others. "Suppression of Proinflammatory and Prosurvival Biomarkers in Oral Cancer Patients Consuming a Black Raspberry Phytochemical-Rich Troche." Cancer prevention research (Philadelphia, Pa.) 9, no. 2 (2016): doi:10.1158/1940-6207.CAPR-15-0187. Liu, Zhijun, Joshua Schwimer, Dong Liu, Frank L Greenway, Catherine T Anthony, and Eugene A Woltering. "Black Raspberry Extract and Fractions Contain Angiogenesis Inhibitors." Journal of agricultural and food chemistry 53, no. 10 (2005): doi:10.1021/jf048585u.